If you are looking for automotive accessories, there are several that you can purchase. You might have a need to make your car a more comfortable ride for you or for others; in other cases, you simply might want to know what the latest accessories out there that could step up the comfort level of your car interiors. These are the latest additions in automotive accessories. As car buyers become more aware of the pollutants that remain inside a car, it is necessary to clear and purify the air inside your car. This becomes more relevant as most car owners hardly put down the windows of their cars since the outside heat and dust needs to be kept out. Bamboo charcoal air purifiers are a good choice in this regard. If you find your car’s inbuilt air purifier not enough for giving a fresh, clean breath of air every time, opt for portable air purifying bags at www.bestdeals.today. These can act as natural air purifiers which help to eliminate odors, purify the air and freshen the air inside your car. Those who feel discomfort in their back or neck region during long hours of the drive can benefit from such an accessory. The latest products are made of memory foam and orthopedic gel, of non-slip design. You will find different designs that are built for the tailbone end, small of the back or the neck region. These can be used for office chairs as well. Such a car seat cushion model would be ideal for giving relief to the back as well as for those who suffer from sciatica. These products are designed to be easy to use and washable. They are lightweight, have zippered velour cover that is washable. At the same time, the cushions are made of the durable quality of memory foam to make them long-lasting accessories for your car seat. This is a car accessory that has been around for some time but does not get out of fashion. That is because of the flexibility they offer to users, unlike dark film shades that you can put on your car window glass. Since many countries have security norms that ban the use of dark film shades on car windows, the removable sun shades are the best alternative for most. The latest products in this category come with UV protection. You can opt for varying shades of films, either of transparent or semi-transparent designs. With magnetic edges, the modern sun shades for car windows are designed for the front and back windows specifically. You can get the right size as per your car’s make and model as well. 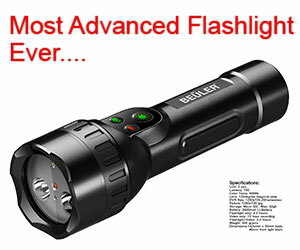 This is another handy tool kit that is available in many online car accessory stores. When people are trapped inside cars in case of emergency situations, such a kit can come in handy. Since most car windows and locks are electronically monitored, in case of malfunction or when a car is locked down, one might not be able to open the doors or windows. In such instances, having such a kit can come in handy. The kits come with seat belt cutter; window breaker with heavy carbon steel edges; with such double tipped hammers and cutter tools, one can easily break through windows or cut off seatbelts to escape. Such a kit can be a handy and thoughtful addition to your car. Simply stow it away in the glove compartment for easy reach during emergency situations. When you travel with kids and need to keep them entertained in the backseat, having a car seat organizer would help keep your car looking tidy and provide you storage space for handy items. The latest models are easy to hang organizers that you can sling on the back of a seat. These comprise of several pockets for storing different items such as drinks, books, toys, snacks; there are adjustable buckle straps that make these organizers easy to use in different cars. It is best to get a pack of two which helps car owners to make adequate use of the two backs of the front car seats. This is another handy accessory that works well for car owners. Most car upholstery gets dirty over time and car washing services could charge a pretty penny for getting rid of old and dried stains and dirt. With a handy hose pipe that comes with a spray gun and nozzle, it can help to clean away tough dirt and stains from car upholstery. However, you would need to have a water source nearby. If your car tyres are inadequately inflated it does hamper your car’s performance on the road. It also makes your car tyres more susceptible to punctures. For such reasons, a handy air inflator or pump for your car tyres would be an accessory to have. It can save one the effort of having to stop by an air filling station every time. This is another good accessory to invest in. Many car drivers, who are often on the road for long hours, find themselves with a back problem. It is best to get a car seat lumbar support. This will help to correct the posture of the driver and also provide comfort and support to the back. To complete the list of handy accessories for your car, a car vacuum cleaner is a must-have. Such a device will help you clean up the nooks and crannies. It will help you clean the carpets and car seats and keep the car clean easily, without having to grab a bucket of soap and water every time. Most car cleaners work through the car charging port which makes them portable devices. The above list comprises of latest and standard accessories that can help make any ride for the driver and passengers more comfortable. Follow Us On Facebook! AMAZING CAR VIDEOS - GUARANTEED! Follow Us on Youtube - CLICK HERE!